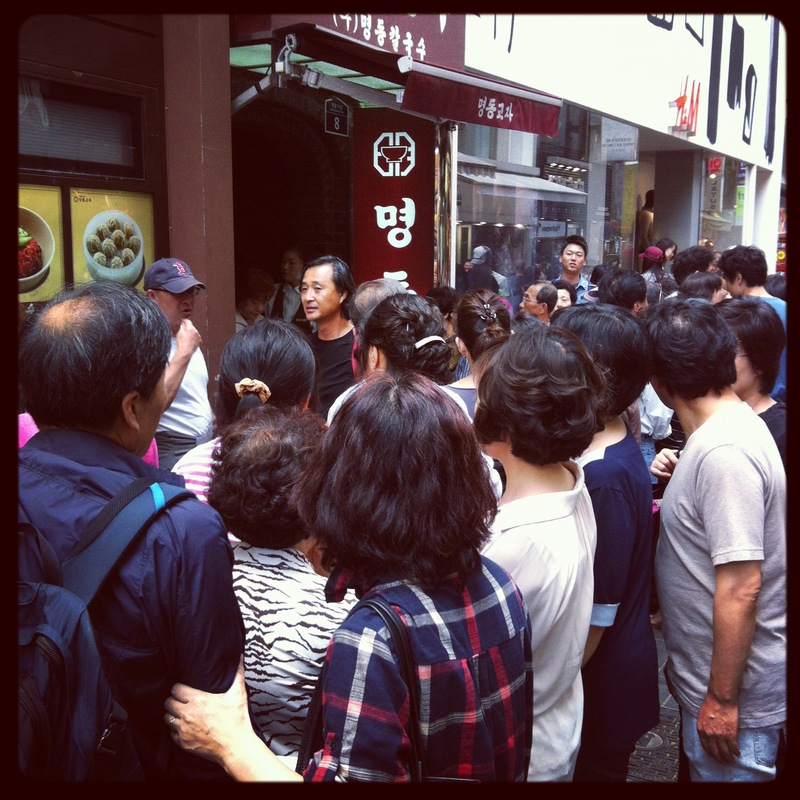 Myeongdong Gyoza, also beloved for its Kalguksu (hand cut noodles), is a famous dumpling restaurant in the Myeongdong neighborhood of Seoul. There are two locations on the same street, within about 100 yards of each other. Both spots are really popular and at lunch and dinner there is always a line down the block, but service is blindingly fast so the line moves quickly. At the location I go to, there is a woman at the door wearing a headset directing traffic to the first or second floor and at the top of the stairs to the second floor, there is another headset clad woman directing traffic to the tables. Since there are only four things on the menu, the waitresses take your order immediately and your order is back within about three minutes. They don’t cook your dumplings to order, they just produce dumplings pretty much continuously, and you are given the next serving of dumplings out of the steamer. The Dumplings: Excellent steamed pork and leak filling wrapped like soup dumplings. There are ten to an order, served in a plastic steamer basket. 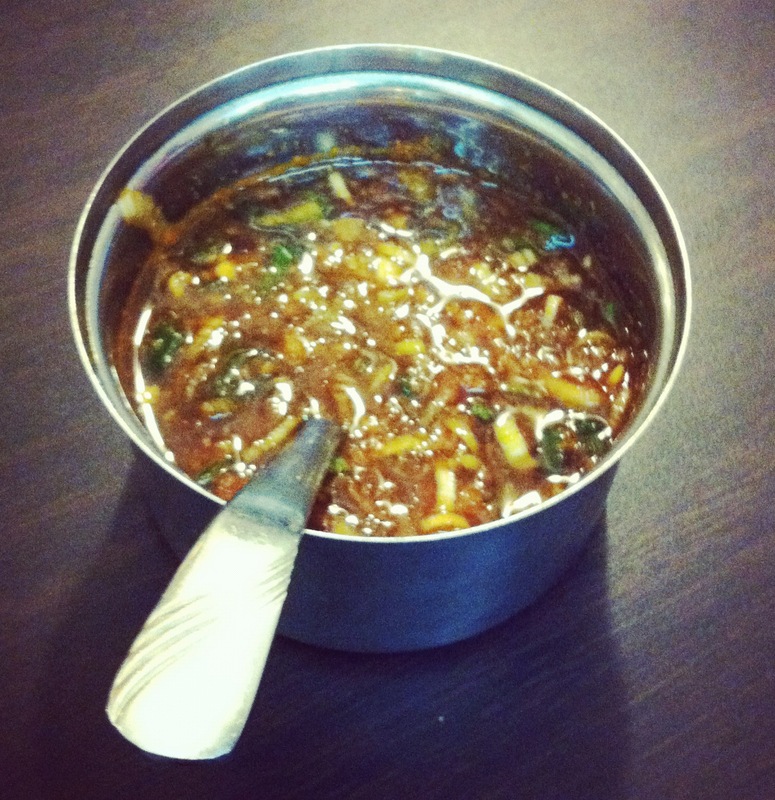 The Dipping Sauce: Each table comes with bottles of soy sauce and vinegar and, the best part, a tub filled with a mash of garlic, scallions and sesame oil; you mix the soy sauce, vinegar and mash to taste. 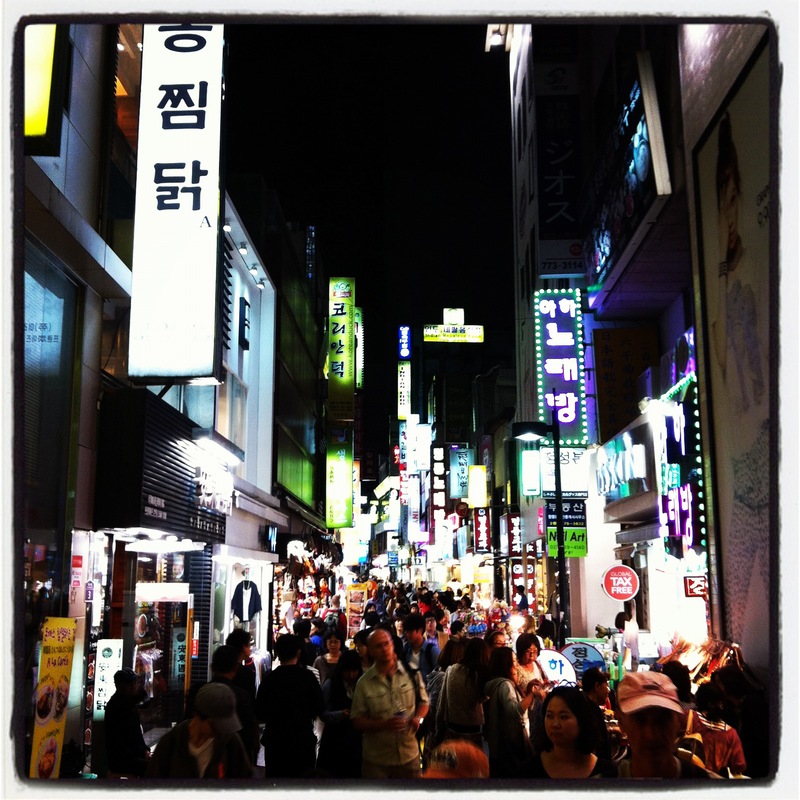 Locations: Myeongdong is a hip shopping district in central Seoul focused on fashion and youth culture. There are a lot of restaurants to eat at in the neighborhood, some bars and coffee shops and at night there is good street food to be had. Myeongdong is right next to Namdaemun Market which is the oldest and largest market in Seoul. There is also a Myeongdong Gyoza outpost in L.A. that serves the same four dishes. 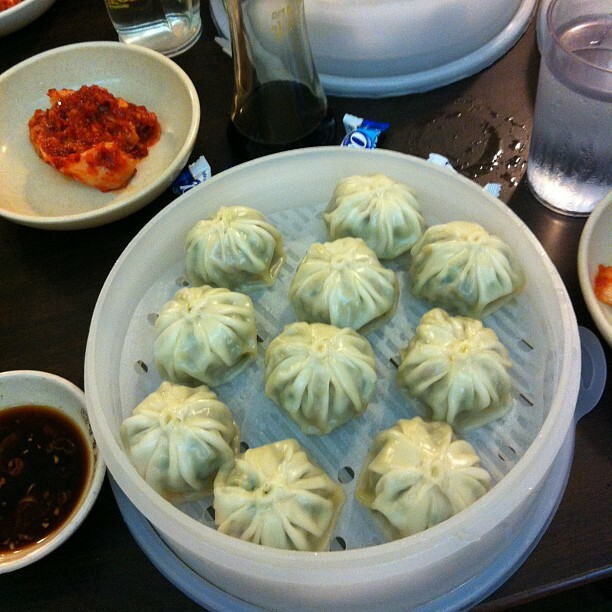 This entry was posted in Korea, Mandoo, Steamed and tagged Mandoo, Seoul, Steamed. Bookmark the permalink. 2 Responses to Myeongdong Gyoza, Seoul, Steamed.